Expedition in Nepal is a very much exciting and adventurous activities. The Himalayan range is extended for eight hundred kilometers from east to west of country. It has more than 13 hundred peaks with an altitude of more than six thousand meters and eight of those are above eight thousand meters-eight of the fourteen highest peaks in the world. In 142 peaks are officially allowed to be climbed. Of these, 104 are classified as Expedition Peaks. They are climbed by official expeditions only and involve a special permit, a royalty payment, endorsement of the home national Trekking agency and the accompaniment of a liaison officer. We will arrange you every thing for almost all mountains. The name 'Mount Everest' was named when Sir George Everest, the surveyor general of India from scaled the peak in1856. It was called Peak XV until before 1856. The height measurement of the peak was done through the Great Trigonometrically Survey in 1850. Mt Annapurna Expedition is world popular Expedition after mount Everest Expedition. The naturally blessed, Annapurna receives about 4800 tourists annually. However, due to excessive pressure of tourists and the migrants, the region has been facing a serious threat of loosing its diverse biodiversity, natural beauty and its rich culture. 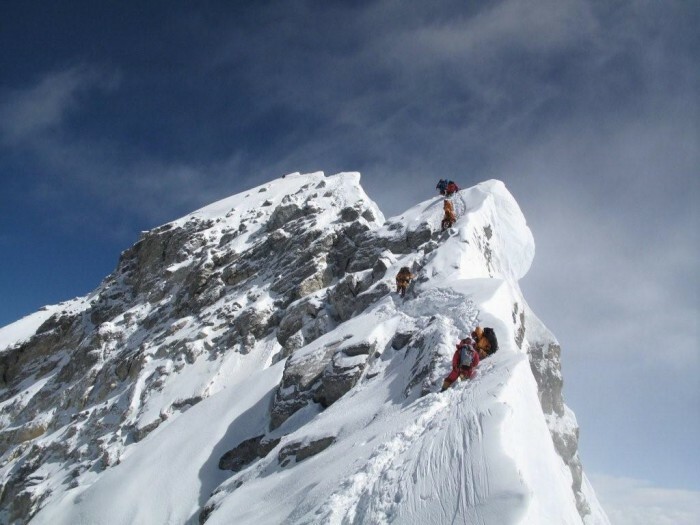 The survey of Mount Manaslu (8163m.) was conducted by a Japanese expedition team for the first time in 1952 and it was first ascended by a Japanese expedition in 1956 but the photograph of the peak was first arrested by HW Tillman and Jimmy Roberts while on trekking in 1950.